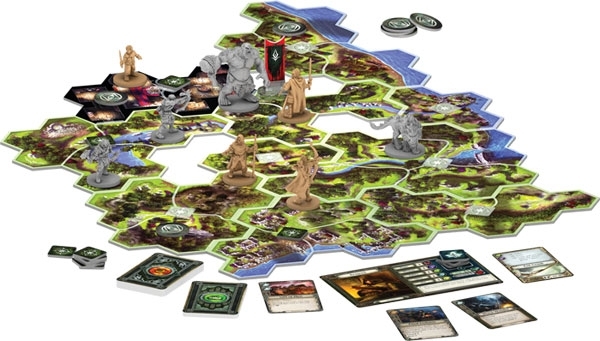 Journeys in Middle-Earth is a fully cooperative board game of fantasy and adventure for 1-5 players. You and your friends take on the roles of the heroic characters from J.R.R. Tolkien's The Lord of the Rings, traveling through Middle-earth to battle villainous foes, make courageous choices, and fight against the evil that threatens the land. With an immersive campaign featuring branching narratives, multiple side quests, and a procedural map generation system, Journeys in Middle-Earth is continually surprising and highly replayable. 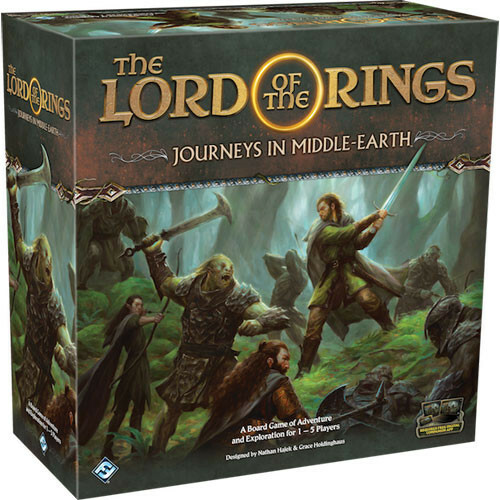 Throughout the game's interwoven scenarios, you must work together to unravel mysteries, fight enemies, and further the story as you protect Middle-earth from the encroaching darkness. Adventure waits only those who are bold enough to seek it. Gather your friends, pack your bags, and find your fortunes with Journeys in Middle-Earth! A free digital app is required to play Journeys in Middle-Earth.